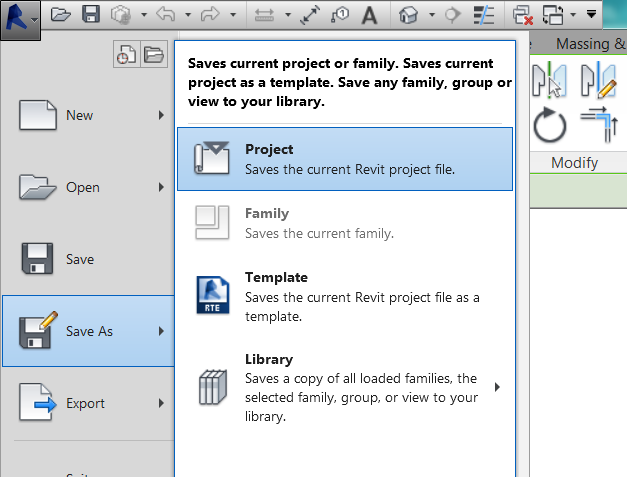 Revit: Control the Number of BackUp Files that Revit Saves. It is quite annoyint and space consuming to have up to 20 backup files in your folder. Luckily, this can be changed quite easy. 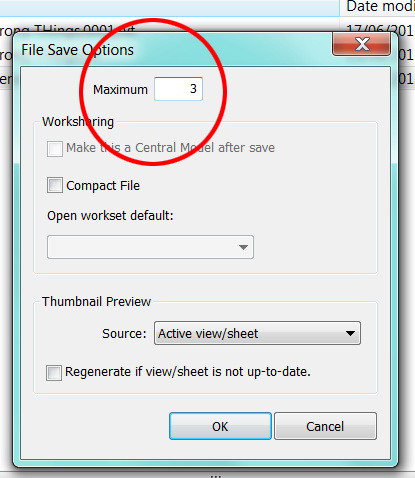 Click the Revit Icon on the upper left corner of the screen and select Save As. In the Save As dialog, click Options. 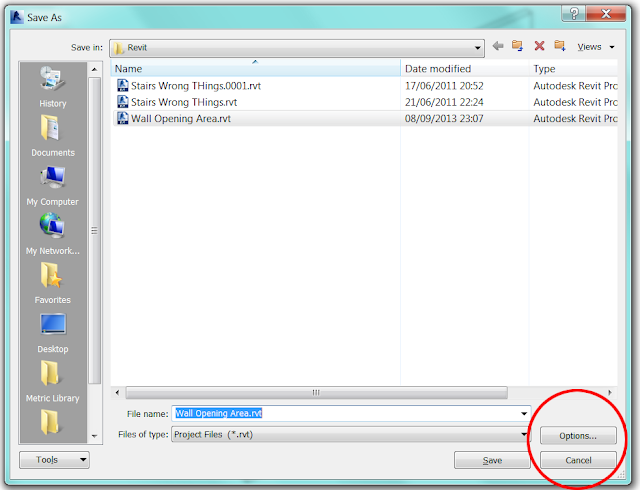 In the File Save Options dialog, for Maximum backups, specify the number of backup files to save. Thank you Martí - Is this a software setting or project setting? © Martí Broquetas Gonzalez 2007-2010.